1 Put the parsley, garlic, sage, thyme and shallot into a food processor and process until finely chopped. Gradually add the olive oil and a little salt and pepper and process until a smooth paste is formed. 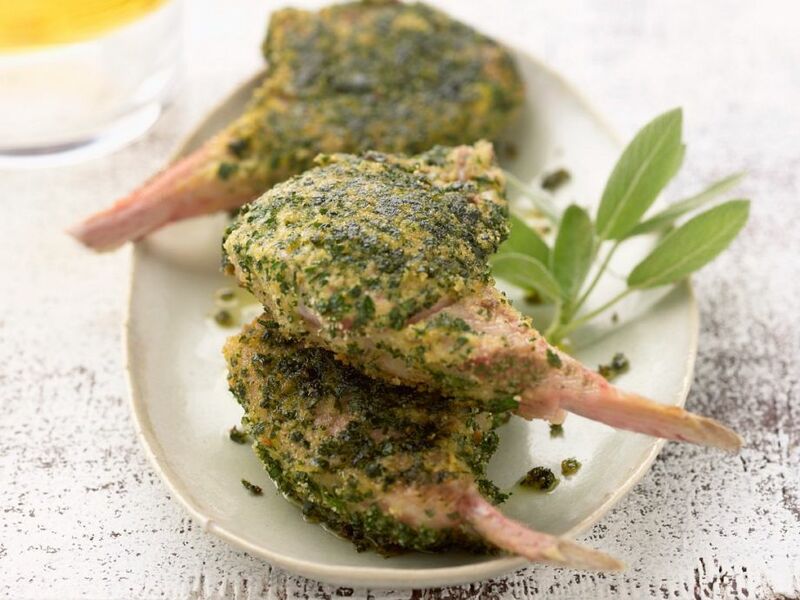 2 Wash and dry the lamb chops and generously coat the chops with the herb mixture. 3 Grill under a preheated grill for 5 – 6 minutes for medium rare and little longer for well done. Serve with mashed potato.